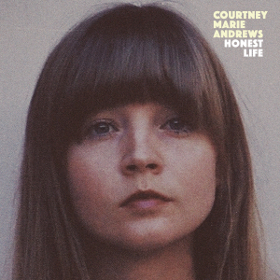 It has been a long time, if ever with this amount of effort and coloration, that a songwriter has captured this “sowing wild oats, and then settling down” arc in life as Courtney Marie Andrews has done so eloquently in her LP Honest Life. Courtney can sing about these subjects because she lived them, and she lived them through singing. Leaving home at 16-years-old to become a busking musician up and down the West Coast, and later in parts east and all the way to Europe, she eventually made a name for herself as a singer beyond street corners, finding an audience with artists like Jimmy Eat World and Ryan Adams, and singing backup on some impressive stages. But this wasn’t her, or at least it wasn’t her for the long-term. Like many of us, she had to live that experience to come to this conclusion, but the important thing is she did, because it resulted in her most original and impacting work yet, and one that puts into words something many of us have lived through, and others will very soon. Honest Life sets itself apart from other projects by capturing emotions in words with an uncanny amount of accuracy to the emotions themselves. And while doing so, it also presents one of the best songwriting performances you can find in the modern era. The way Andrews takes a very personal story and makes it about herself, anyone specifically, and everyone generally on “Irene” is a methodology that instigates marvel. The honesty of “Put The Fire Out” and “Honest Life” in how they brashly admit to mistakes and fallacies so many find difficulty in fessing up to is a mark of bravery. And “Only In My Mind” is heartbreak defined. And isn’t it ironically resplendent that a record about wanting to spend more time at home planting roots results in Courtney Marie Andrews finding her moment of the most national and international acclaim and attention of her career. Honest Life as we enter the latter stages of the year is making its way onto many of the short lists for one of the best efforts of the year. Presenting Honest Life to the readers of Saving Country Music comes with a bit trepidation because this is not a country record, but more of a folk rock record with some country moments, and this is especially true of the first half. But listeners, especially those who are receptive to folk and Americana, or of top-level songwriting, are encouraged to stick with this one and give it a few listens to reveal its beauty and genius. Our favorite albums and songs many times go on to define the important eras in our lives because it’s what we’re listening to at that time. This album defines an era in life in a similar manner, but it a way that resonates whether you’re heading into, currently living through, or recalling the time in life when you truly become yourself, slough off the youthful pride and fanciful notions that freedom at all costs isn’t its own form of prison, and are ready to love the people who will always love you back, whether you’re coming or going. Wow. Just from listening to this one song brings to mind Joni Mitchell, which is not a bad thing at all. Definitely will be buying this. Thanks for this. Learning of music like this is why I keep coming to this site. Some have also compared Courtney to Linda Ronstadt and Emmylou Harris in their mid-1970s form. That, along with the comparisons to Joni Mitchell and Rosanne Cash, is heady company to be compared with, but justified (IMHO). I also heard a lot of Caitlin Rose in this record, which is nice because we’ve been missing this style of music for the last few years. Sandy Denny is another person I thought of while listening to this album. Nice find. Thanks for the review. Masterful lyrics, great production, very musical,I love this album! …and Courtney Marie Andrews. It’s 3am. Jet lagged from being in Japan all last week, working. Catching up on articles; listening to track after track of this one. Excellent songwriter. Hitting home for me right now. This is not really country, as you point out, but it transcends genre. Thank you for another solid review and recommendation! And for costing me more money on music purchases! Excellent voice. Put the Fire Out is good songwriting too, I’ll have to check out the rest. I’ve been listening to Amanda Shires all week and this is a perfect follow up. Great fall music. Thanks for the heads up, Trigger. Trigger, don’t feel like you have to apologize for giving us a review of something that’s only partially country. If you think it’s worth listening to, and has some connection to the theme of the site, by all means, post it. I haven’t listened to this album yet, but I definitely will. Somewhat off topic, but it seems like the quality of album releases has definitely picked up the last few months, after what seemed like about a 10 month drought. Between Aaron Lewis, Whiskey Myers, Lori McKenna, Cody Jinks, Lydia Loveless, and Amanda Shires, I haven’t had time to get the repeated plays on any of these albums to really fall in love with them even though the first listens were really good. This is a terrific problem to have. Definitely. After the longest run that I can remember where it seems like you really had to search for something really great, we’re now in a pretty big winning streak. That doesn’t mean there weren’t a few good projects earlier this year. I thinks some folks started blaming me for not featuring enough good new music, but there just wasn’t much stuff out there. Thank you for introducing me to her…best album I have reviewed in my short time. I hear Joni Mitchell and Linda Ronstadt in her voice, and her style reminds me of Linda too. You go back and you see Linda Ronstadt albums labeled country, folk. 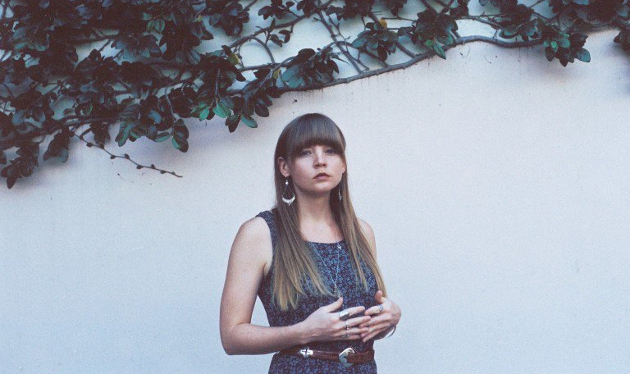 pop, rock…Courtney Marie Andrews seems to be the same. Excellent songwriting throughout. Just enjoyable all around. Having just discovered this album, I am so grateful that you were able to describe in your review how I feel about this collection of songs. They are remarkable. And the production of the album perfectly frames them. This album and Courtney Marie Andrew’s artistry deserve every word of your high praise. For a young lady building her career in the music industry Courtney Marie Andrews Is way ahead of any artist in songwriting and should be a lot more recognized for her accomplishments.